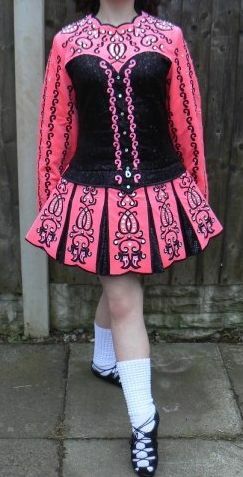 Gorgeous pink and black Siopa Rince dress, silver and black pattern underneath. 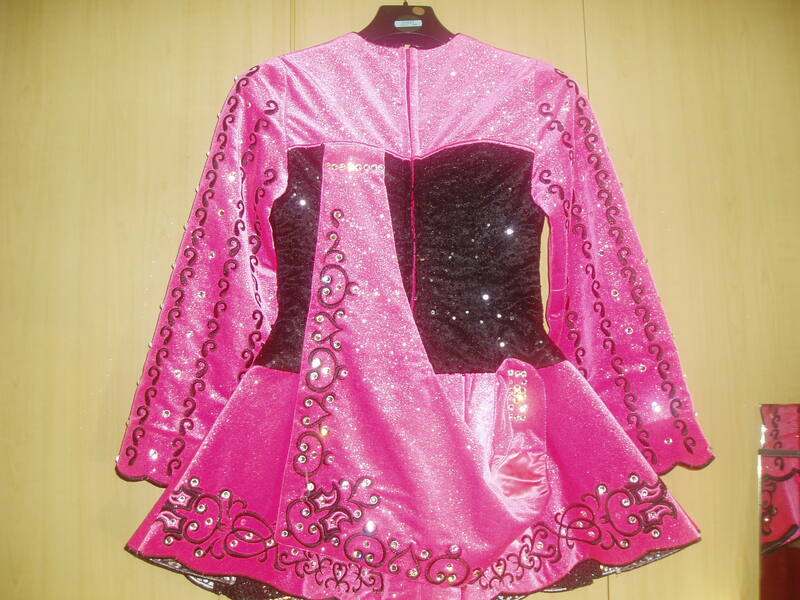 Lots of sparkle with swarozski crystals, dress in excellent condition, comes with kickpants and flower headband. The dress has never been let down, or out, so room for alterations. Asking Price: Â£575. Shipping costs are included for my own country, overseas shipping is extra. Sale is final.